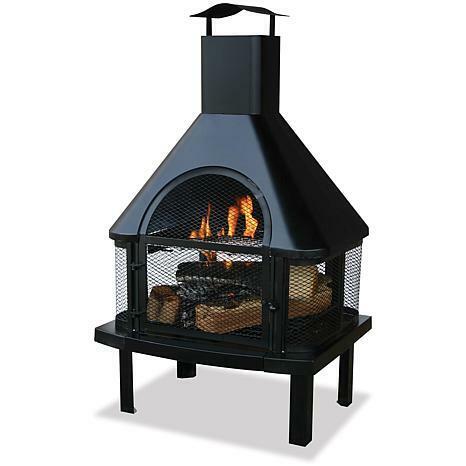 Uniflame WAF1013C Black Firehouse with Chimney... This well constructed and highly functional firehouse brings the warmth and comfort of a fireplace to any patio, deck, or poolside. The safety and versatility of this fully grate enclosed allows fires to burn away with peace of mind in virtually any application. Constructed from cast iron featuring a large chimney that controls exhaust. Firehouse also features a side-out cooking grill and simple assembly that make this a must have for any home. Measures 25x45.3x20.5.